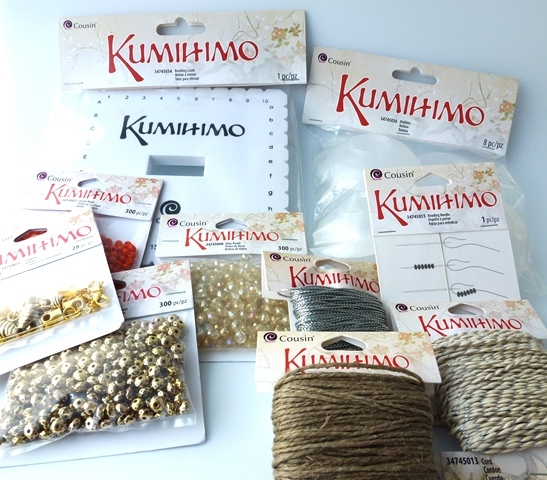 It's been kumihimo month for the Prima Team bloggers! As it turned out, I thoroughly enjoyed making these creations. Quite a few years ago, my first foray into kumihimo using the round disc wasn't that successful largely because I didn't use the right cords and I got bored. 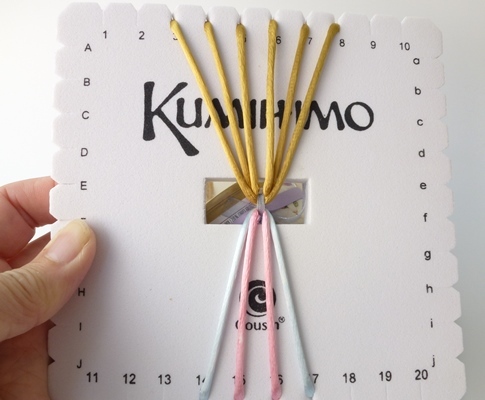 But my enthusiasm for this ancient Japanese art of cord braiding was relit when Prima Bead sent us the kumihimo package to time with their launch of kumihimo supplies. As you can see, I received the square plate version rather than the more commonly used round disc. Both these polyethylene foam types are modern versions of traditional braiding looms . The round discs mimic the maru dai - the latter is faster to use as both hands are available to move the cords. But then the one-handed foam disc is far more portable than the maru dai! The square plate was designed for creating flat braids (although my fellow team members also used it to form round braids). It was developed by Makiko Tada so braiders could produce the anda style braid which is usually accomplished on a taka dai. 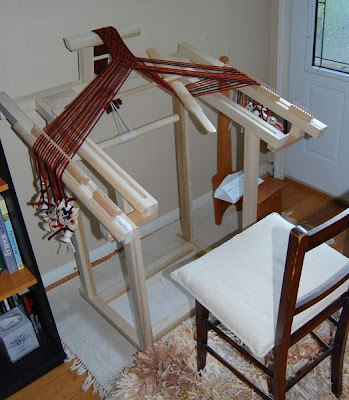 As you can see from the picture below, there are two halves to the braid which are both worked separately and also brought together during the braiding process. 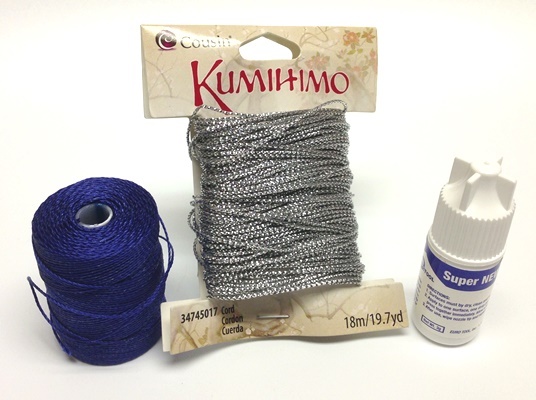 If you are new to kumihimo, I recommend you start with rat tail cord (1.5 mm satin cord) and use 2 colors. 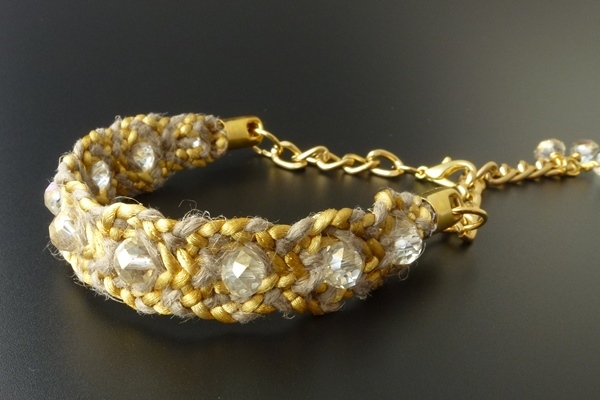 I used a gold tone and a pastel multicolored cord as shown below. The first project you do will not only be faster, the dual color system will also easily show what happens in the braiding steps. I followed the anda pattern given in the instructions which come with the foam plate and came up with the idea of adding a button hole. See the tutorial for the kumihimo bracelet with a buttonhole. I really liked Prima's selection of kumihimo cords which feeds into kumihimo's current popularity. 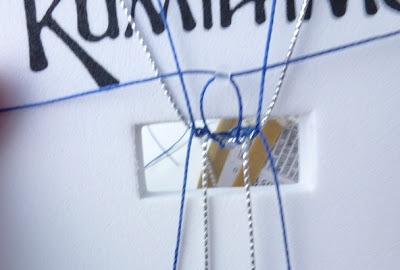 For the second bracelet, I used the silver thread one from Prima and mixed it with a rich blue Super lon cord I had. As the resulting braids are flat, ribbon clamps are also commonly used. My favorite glue was used to make the clamps extra secure is Super New Glue. E6000 is also great but I have trouble keeping the nozzle open! You can add beads to this flat braid pattern. I like adding them in the middle using the crossing step where the top middle threads are moved to the sides. This will be clearer in tomorrow's tutorial. The other place you can easily add beads is to the side - see this Youtube video. I think beads can also be added in other places much like macrame with beads. It just requires experimenting. There is no reason why you cannot apply round end caps to a flat braid provided it is not too wide. Nor do you have to braid a full bracelet. My third design below mixes a hemp cord from Prima with a thinner bug tail satin cord of mine. I used gold tone chain and some of the findings and the crystals from the package too . Thank you! I think I will be making more of these! Looks like you have a good start into Kumahimo. I like the versatility of the square plate. I also like the flat braids and have done post braiding embellishment, too. I find that Kumohimo is well paired with watching a TV show or movie. I've even done it while on a plane (for a gift to be given the day after we arrived). It's very contained and nothing to drop and roll away . That's a good suggestion about post braiding embellishment! And a good point about it being an excellent travel project. Hi Pearl. I love how you break it down and simplify. I have wanted to take a closer look at Kumihimo but haven't known where to start. This really helps. Thanks so much. Oh, love the blue bracelet! So fun! Thanks everyone! 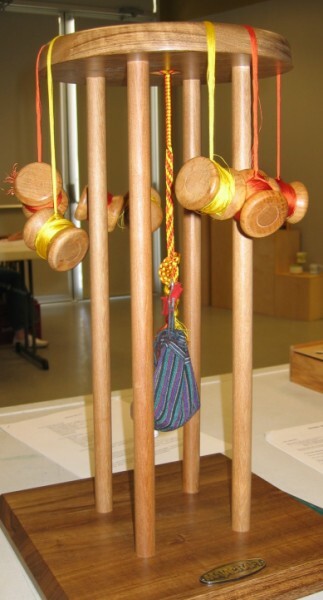 Regina - you might want to try the round one first as there are many patterns and tutorials out there. Beautiful job Pearl - I love the photos of the original looms - I've got to say that I'm glad I received the portable one! 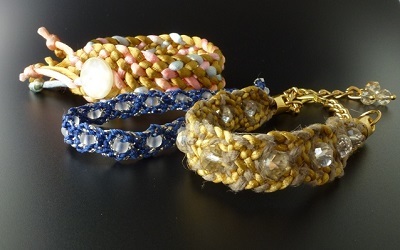 The square loom makes such a different kind of braid from the round one, and I love how you added the button and buttonhole to the first bracelet. I'll be back for the tutorial! You're welcome. That fringe just happened! See what happens when you play with the material! Beautiful jewelry!! I like the design and colors of bracelets. I would surley going to try the blue one, it is stunning. Could you explain to me which braiding pattern you used for the blue bracelet? 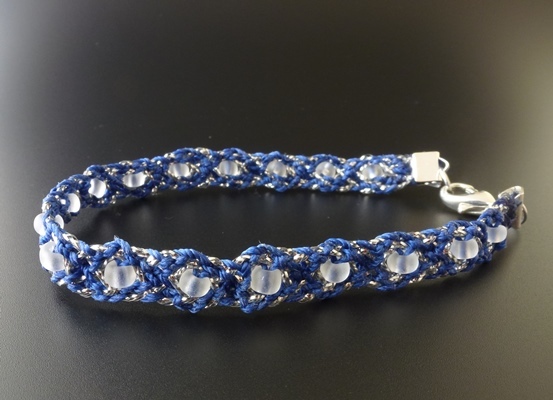 I am looking to do something similar but I am quite new to kumihimo.